Waterfront Homes and Property For Sale in Crystal River Florida Citrus County. - Waybright Real Estate Inc. 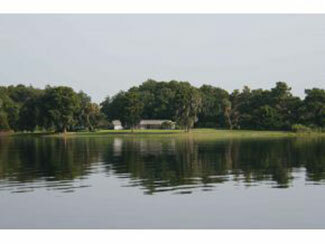 Some of the best waterfront property in Central Florida can be found in Citrus County on the West Coast of Florida. A highly desirable location, coupled with relatively affordable land values compared to other more developed Florida waterfront properties, makes Citrus County waterfront property a great investment. Citrus County, Florida is a water lovers paradise. The west coast of Citrus County lies on the Gulf of Mexico and the east side of Citrus County is dotted with lake chains ideal for bass fishing. The rest of the county hosts seven rivers, including, most notably Crystal River, Homosassa River, Chassahowitzka River, Withlacoochee River and the crystal clear Rainbow River. The Rainbow River is 5.7 miles long and merges with the Withlacoochee River. Rainbow Springs State Park, whose entrance is in nearby Dunnellon, is where locals spend their leisure time swimming, boating, kayaking and snorkeling. The springs are the 4th largest in Florida and there are areas for picnicking. It’s said that this spring has been used by people for nearly 10,000 years. Its constant water temperature is 72 degrees. Boating and fishing are a way of life for this active outdoor community. Communing with nature is part of the lifestyle when you move to Citrus County. Around 40% of the land in Citrus County has been set aside for public use and cannot be developed. This little known fact has made Citrus County our own little "secret garden". Limited waterfront development makes this area highly prized. Nature preserves, wildlife refuges, protected wetlands, state forests and numerous parks makes life and recreation in Citrus County a hidden, undiscovered part of Florida paradise. Waterfront property in Citrus County includes Kings Bay Drive, an exclusive waterfront community of spectacular waterfront homes in Crystal River. The Crystal River National Wildlife Refuge is headquartered on Kings Bay Drive and provides a habitat for manatees who migrate to the area during the Winter. Ozello Trail, is a long winding road through the wetlands and marshes of coastal Citrus County, populated with aquatic birds of all kinds. Sabal Palm trees and Cedar trees guide you through some of the most beautiful parts of natural Florida. Many residents of Ozello’s about 600 residents have colorful stilt homes built right up to the water and enjoy some of the most breathtaking sunsets in Florida. 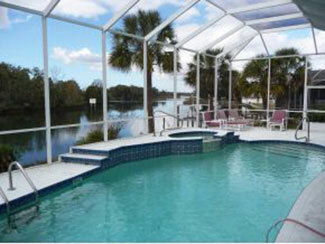 Waterfront property in Homosassa is similar to that of Ozello only not quite as remote. Homosassa Springs and Homosassa Florida have many marinas, shops and restaurants with the freshest seafood around. The Homosassa Riverside Resort is a popular destination for locals and tourists. They offer waterfront dining, hotel accommodations and opportunities to swim with the manatees. The resort also has “Monkey Island” where 5 spider monkeys live on the island, just a stone’s throw away from the resort. 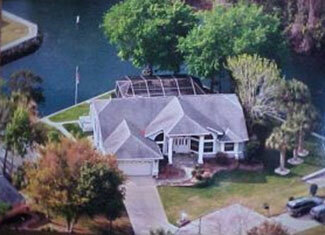 On the east side of Citrus County lake front property and lake side homes in Inverness are second to none. Waterfront communities such as Pritchard Island and Gospel Island offer exclusive waterfront living in Inverness just minutes away from the Inverness Downtown Square. To explore these or any of the many additional lake front and riverfront homes in Citrus County Florida Contact Waybright Real Estate today!